The Suite offers stylish and spacious room with modern amenities in the 56 sq. meter room. Suite Rooms are fully furnished with king size bed, high quality bed linen, bedside lamp, and bathroom with rain shower. 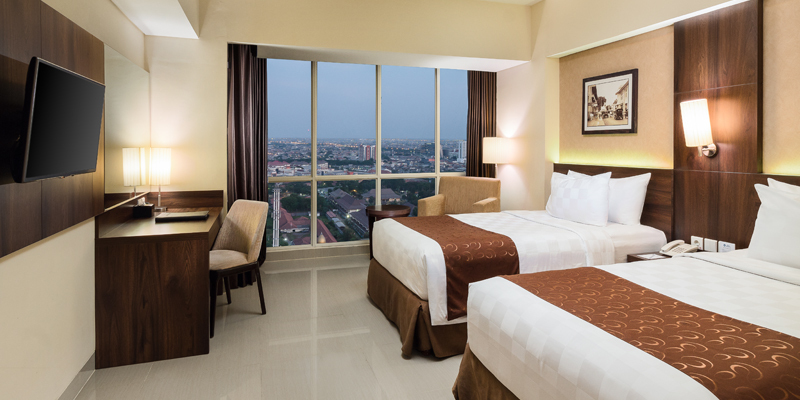 Enjoy the selection of mini bar while admiring the view of city through its window bedroom.